Freshly Plated – Joburg restaurant news: June edition! 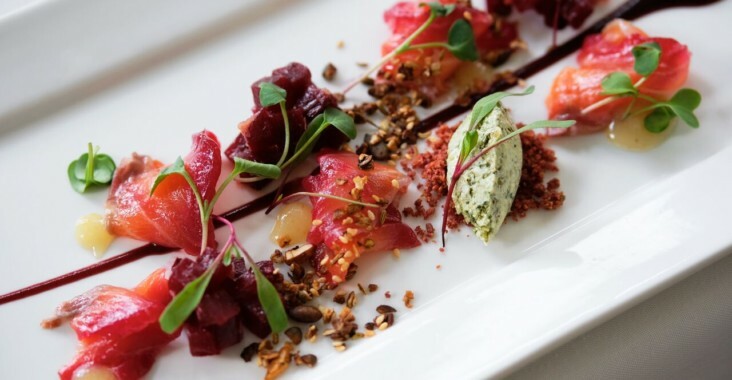 Clico Restaurant at Rosebank’s charming Clico boutique hotel has launched a delicious new winter menu centred around warming comfort food like slow roasts, deep marinades and braised stew. Ingredients are farm-fresh with Chef Marnus Scholly and his team having sourced the best of local produce. Clico is a great spot for an intimate lunch or dinner, or a special occasion. Tucked into a Rosebank side street it’s a tranquil refuge from the busy suburb. 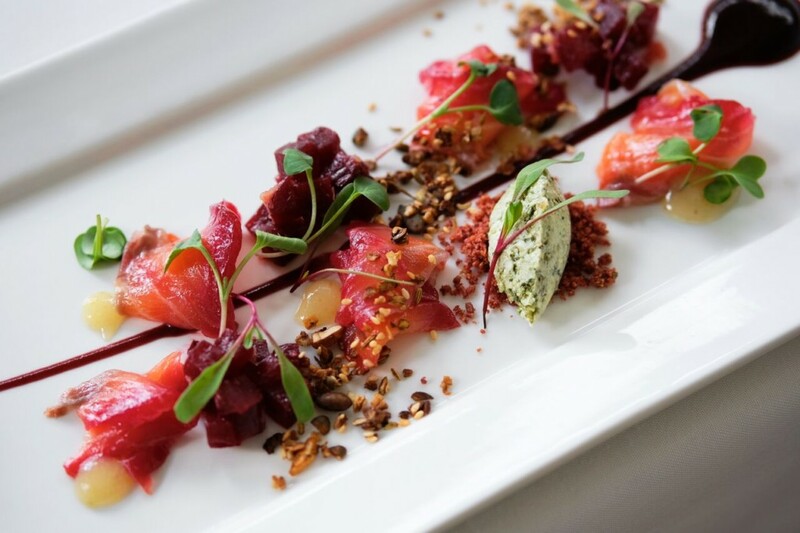 On the menu is unfussy fine dining with innovative wine pairings, or choose from the a la carte dishes. Scholly has been lovingly slaving in the kitchen over the past few months perfecting the technique of fermentation to bring extra flavour and complexity to his dishes. Highlights of the new menu include a superb oxtail tortellini with Parmesan cream, a richly delicious butternut gnocchi served in pureed butternut with flavourful mushrooms, a beautifully presented salmon gravlax served with winter vegetables (pictured top) and a slow roasted marinated braised lamb shoulder served with a rich beetroot jus, declared by one critic we shared a table with as one of the top “lamb experiences” of her life. Read more about Clico Restaurant here. The latest addition to Sandton’s stylish Alice Lane Precinct is Nikos, a casual and super friendly Greek cafe-restaurant with a terrace looking out onto Sandton’s often gridlocked streets. In easy walking distance from Sandton City and Nelson Mandela Square, Nikos offers up an abundance of tasty items that include well-made Greek classics like flavourful meze, souvlaki and seafood grilled over coals. Try the impressive-looking roasted cauliflower (even though it takes a little longer to prepare, the wait is worth it). The Stanley Beer Yard in 44 Stanley has a whole new look and even a new name . . . Calexico. The trailblazing dedicated craft beer garden takes its new inspiration from the American border city Calexico. On the menu expect a flavourful blend of southern Californian and Mexican influences and on the stereo the very finest all-vinyl playlists with a mix of feel-good Americana, Indie, country, folk, Latin rock, reggae and other classic chillaxed sounds. The grand official launch party for the all-new ‘vinyl lounge, bar and grill’ is set for the end of June. We’ll keep you posted, or follow them on Facebook at Calexico. 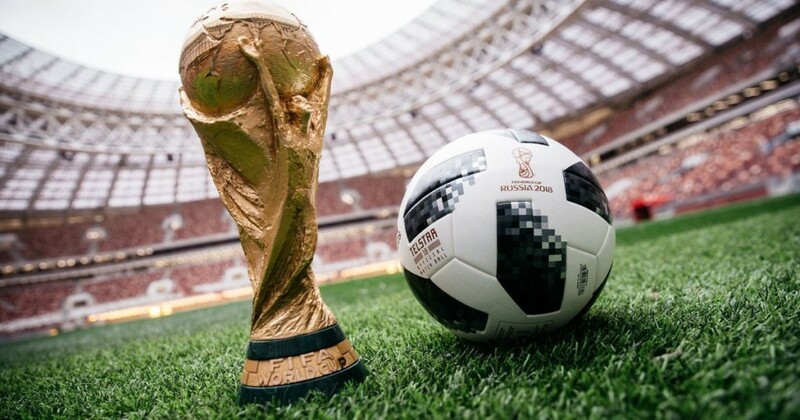 The FIFA World Cup 2018 is finally here and as football fever has gradually taken over the city there are plenty of venues promising to host special pop-up bars and events for fans of the beautiful game. In addition to Joburg’s rich collection of much-loved old-fashioned pubs, this month also look out for a Russian vodka-themed cocktail bar at Blank Bar in Parkhurst, a ‘soccer village’ in Sandton and the always lively Belgian House pop-up hosted by the Belgian Chamber of Commerce. Read our Ultimate Guide to Where to Watch the World Cup in Joburg for the full picture. High above the busy streets of Sandton Central, the Radisson Blu Hotel Sandton’s Vivace restaurant on the hotel’s 13th floor has a new and updated look. Decked out in subtle teal, grey, earthy red brick and walnut wood, the new restaurant and lounge with its killer views looks out over the ever-expanding Sandton cityscape and the expansive greenery of the suburbs. On the menu is a classic-contemporary mix of steaks, line fish, salads and Italian-inspired appetizers like the delicious arancini pictured above. Find out more here. Blues fans will delight in the opening of the Sunday pop-up The Blues House, in a courtyard in Maboneng. The place for purists, you can expect old-school, hard-core blues for those who know their BB King from their Albert King. Resident band is The Smoke Train and there are plans to incorporate the first Blues DJ act. On the menu is gourmet street food that includes ribs, burgers, and gourmet vegetarian sandwiches. A pure bar serves alcohol and preservative-free drinks and for those not so intent on purity there’s beers, gins, vodka, bourbons and whiskey on offer. To get updates join The Blues House Group on Facebook. Find them at 244 Main Street, Maboneng.